For being one of the most used appliances for many, few consider air-conditioner (AC) upkeep an essential routine. Proper upkeep on your AC will keep your system running longer. It can also save you money by increasing your AC’s energy efficiency. Upkeep is most effective right before AC season begins. If you have a whole-home air-conditioning or heat pump system, this guide is for you. It is time to make AC upkeep a part of your spring-cleaning routine! Before you begin removing debris, it is essential to your safety that you turn off any electricity going to your AC unit. Make sure to turn off your unit, as well as the breaker that’s supplying its electricity. After shutting off the power, remove your unit’s fan with a wrench or screwdriver. Then, begin removing any leaves or debris that may be inside the unit. Once debris is removed, you can begin tending to your AC’s fins. First, remove the fins’ outer covers. Next, using a brush attachment on a shop vacuum, begin scrubbing and removing dirt. After dirt is removed, spray fins from the inside with your garden hose. Since fins are delicate, it is not recommended that you use a pressure washer. When the fins have been cleaned, you can move on to straighten them. This step requires a butter knife and patience. Carefully straighten any bent fins using your butter knife. Fins are easily damaged, so be sure to use caution. Now that you’ve finished the maintenance on the outside of your AC, you can begin clearing the area surrounding your unit. A buildup of debris and vegetation can hurt your unit’s airflow efficiency. Begin by raking and removing all surrounding leaves and debris. Next, trim all vegetation near your unit. To be safe, remove all debris and vegetation within three feet of your AC. After your unit is free of surrounding debris, you can check its level. With time, the surface keeping your unit stable can shift. An unbalanced AC can cause stress to the unit’s compressor. Use a leveler to check your unit’s compressor. If it is uneven, use shims to straighten it out. This step could potentially save you hefty repair costs. To begin upkeep on the inside of your unit, it is a smart idea to start with the evaporator coil, as it is responsible for keeping your house cool. The coil is traditionally housed in an evaporator door. Locate and remove the door. Once the door is removed, begin removing dust from the coil with a brush. Next, spray the coil with specialized coil cleaner, available at most home improvement stores. The foam will drop into the drain pan below when finished. Then, pour an even mixture of bleach and water into the pan and watch it drain. If it drains slowly, you might have a clogged evaporator drain. Cool air gets to your home through your AC’s evaporator coil. The coil condenses air and creates water. This water is drained through your evaporator drain, some form of PVC piping usually. With use, the drain can become clogged with mold and algae. To address this, follow your drain to where it outlets water. Remove the filter on your shop vacuum and attach it to the drain with duct tape or a rag. Leave vacuum attached for three to four minutes to rid your evaporator drain of any possible clogging. You are almost there. The last step of routine AC upkeep should always involve replacing your filter. A healthy filter ensures a healthy home, and you should replace them at least twice a year. When replacing filters, be sure to purchase filters with the same filter ratings as previous ones. To replace, locate the door housing the filter. After removing the door, remove old filters, and place new ones according to the guiding arrows on the package. And there you have it, a clean and properly maintained AC unit. 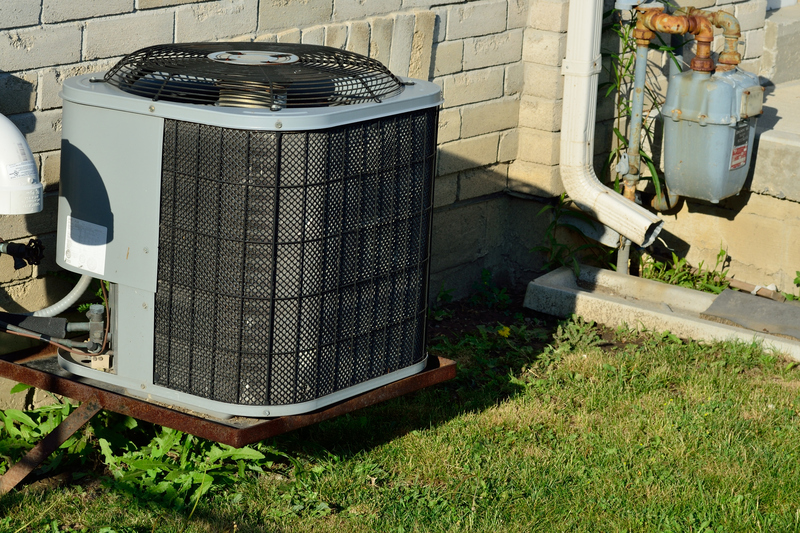 Following this upkeep guide will keep your AC running in prime condition for years to come! 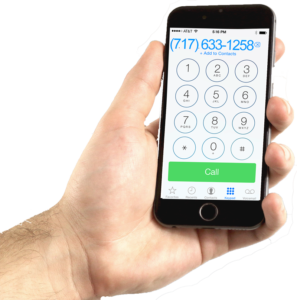 Need AC Service in Hanover/York?